Quanterion conducted a multi-year study of alternative energies under a task on its day-to-day operation of the Reliability Information Analysis Center (RIAC) Basic Center of Operations (BCO). 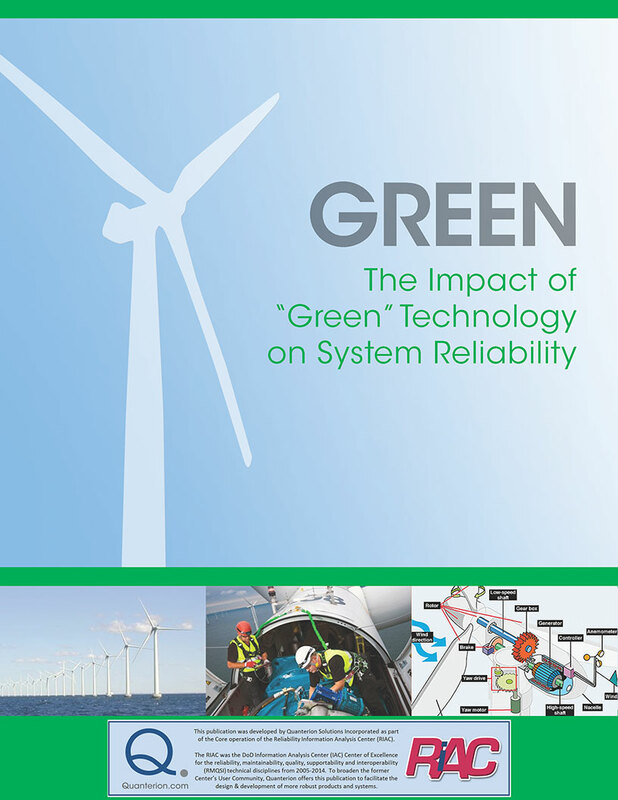 This project focused on the reliability implications of “going green” because in order to be an effective alternative energy source, the candidate technology must be operationally available (combination of reliability and maintainability). Because the designs of the candidates are in many cases unproven, the study provided necessary information to enable the user to better understand the risks of using each technology. The results make use of sharing the methodologies and models commonly applied in the reliability evaluation of three of the most mature “Green” power generating technologies: Geothermal, Solar and Wind power. For each technology, a general overview of the system and its components is provided, with specific attention applied to areas with known reliability concerns. Common failure modes and mechanisms are provided, along with typical evaluation tools or techniques employed. View the “Green” product description to learn more about this report.